To make editing tasks easier, Teamweek now has a right-click menu to take you straight to editing shortcuts. 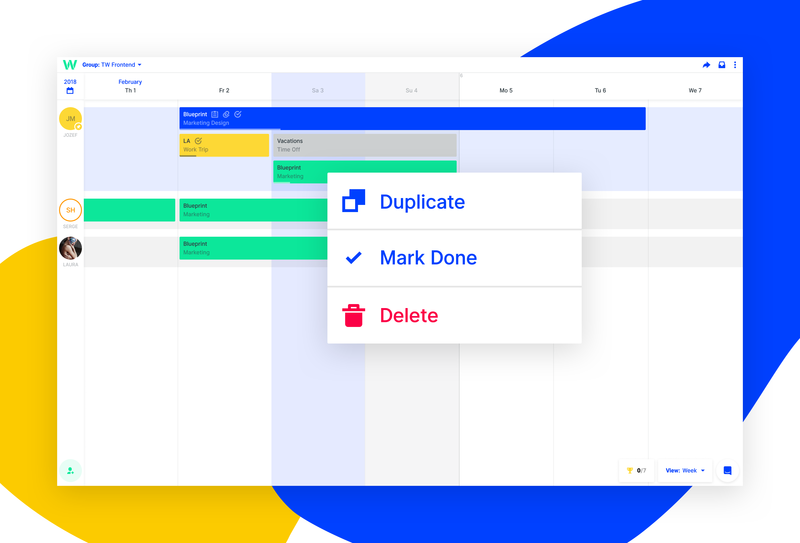 Right click on any task to quickly mark it as done – or undone – as well as delete and duplicate the task. Here’s another quick way to duplicate the task: hold down the cmd key and drag the copied task to a new section of your timeline.